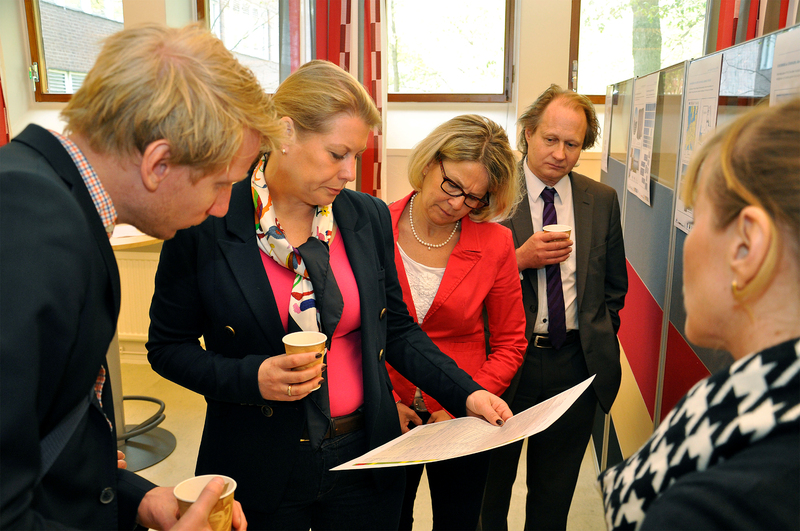 Blue Growth and innovation was on the agenda when the Swedish Minister for Infrastructure, Catharina Elmsäter-Svärd and her advisors David Erixon and Tomas Brolin visited SSPA today. The group is visting some of the organisations located in Gothenburg that are working in the Maritime Industry, a tour that is arranged by Swedish Maritime Forum. The visitors were introduced to the Submarine A26 project, the Zero Vision Tool and it's Joint Industry Projects and took part when a Towing Tank test was conducted. Adding to that the company Minesto presented its Underwater kite "Deep Green" which is tested by SSPA.